“If the Guardia don’t get you, the barrancos will!” was the sage advice given by our friend Jo when we first encountered that most enigmatic of features, the Canarian barranco. We all laughed. It was after all a bit of a local joke amongst the hippies who had chosen to settle in homes that cling to the side of the barranco in La Gomera’s Los Aceviños and faced the constant challenge of returning home from neighbours after dark on inebriated legs. But like many words spoken in jest, the truth was lurking just below the surface. 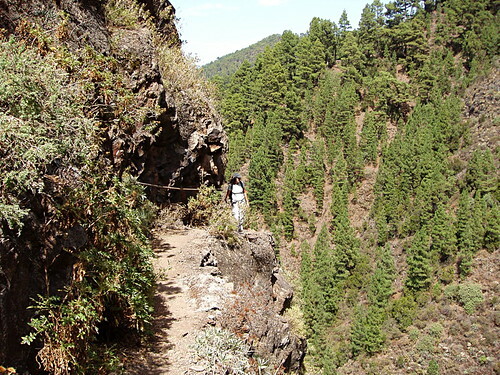 Simply defined, a barranco is a ravine, and given the volcanic nature of the Canary Islands, there are a great many of them on every island, particularly the more rugged islands of La Gomera, El Hierro, La Palma, Gran Canaria and Tenerife. Formed by the erosive nature of the water that once flowed from the higher, inland forests and mountains to the sea before the demands of agriculture and tourism diverted it, nowadays the barrancos are dry. Except, that is after heavy winter storms when barrancos that have been used as car parks and goat pens for years have suddenly found themselves once again gushing with torrential flood waters sending vehicles and the occasional goat crashing onto the beach. Often characterised by sheer sides that plunge hundreds of metres to a stony valley floor, barrancos carve up the landscape, providing convenient natural borders for municipalities and employment for bridge builders. 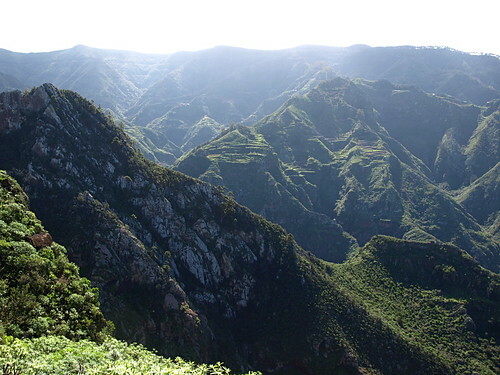 On La Gomera, yawning barrancos radiate out from the central Parque National de Garajonay right around the island like spokes of a wheel making travel in any direction an arduous and time consuming business. 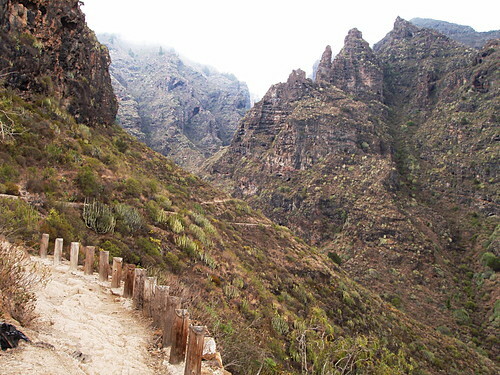 For all their inconvenience to commuters, barrancos provide the Canary Islands with their trademark, spectacular scenery and, trodden by the feet of the islands’ original inhabitants for generations, their myriad trails are a magnet for hikers. But barrancos can be two faced friends to those who traverse them and it pays to keep your wits about you and your feet carefully on terra firma. 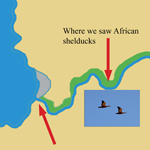 The immediate danger of barrancos is their inherent propensity to swallow hikers. Just a couple of weeks ago two hikers died in two separate incidents and on two different islands, by falling down barrancos. Often overgrown and frequently subject to erosion, narrow ledges can be dodgy places to negotiate and can disguise themselves as wide paths with the clever use of thick brambles. Add a careless step and a heavy rucksack to the mix and the results can be fatal. And don’t think you’ll easily outwit them by opting to mosey along the valley floor instead, even at ground zero the wily barranco can out-fox the most experienced of hikers. 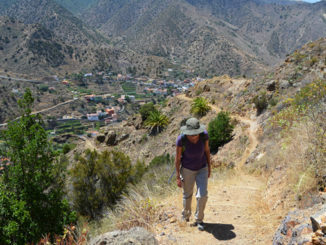 Walking on Tenerife a few years ago Jack and I thought we may be about to pop our hiking boots in the Anaga Mountains when the Barranco de Roque Bermejo we had skirted from above looked like the ideal route back and turned out to be the barranco without end. With our water gone and temperatures touching the mid 30°C, jokes about dying of thirst became uncomfortably within the realms of possibility by the time we made it back to the village. 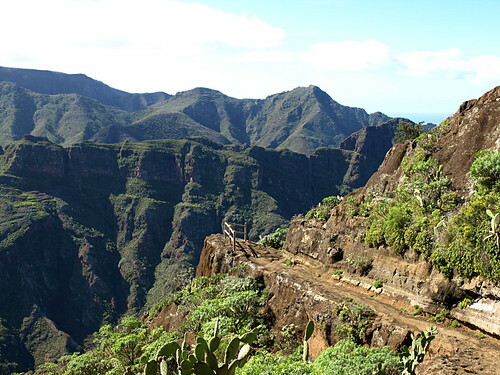 The highly popular Barranco del Infierno on Tenerife has been closed for years as a result of rock falls that could prove fatal if you’re unlucky enough to be in the wrong spot at the wrong time and the stunning Masca Barranco on the same island has seen more than its fair share of accidents and fatalities. Lulled by its accessibility and deservedly famed beauty, hikers take to its valley floor only to discover the Tenerife version of hiking endurance where rock fall after rock fall has to be carefully negotiated and where paths appear and disappear at will. You wouldn’t think it would be possible to get lost in a deep gorge that runs from a mountain village to the sea would you? But the emergency rescue services who recover lost, exhausted and bewildered hikers will attest differently. The Canary Islands are incredible places to go hiking and offer landscapes that vary from desolate volcanic craters to lush pine forests and palm grove coastlines, often devoid of all but a handful of fellow walkers. Just don’t let the barrancos, or the Guardia, get you. 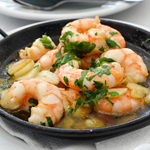 Do You Put Salt on Your Food in Restaurants? 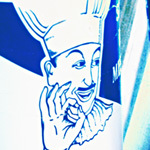 Could you please give any sources of fatalitiesr accudents in Masca? Our sources are the emergency services in the Canary Islands and the Canary Islands Government, both of whom have Twitter accounts where they report incidents. I couldn’t direct you to anywhere you’d find statistics though. 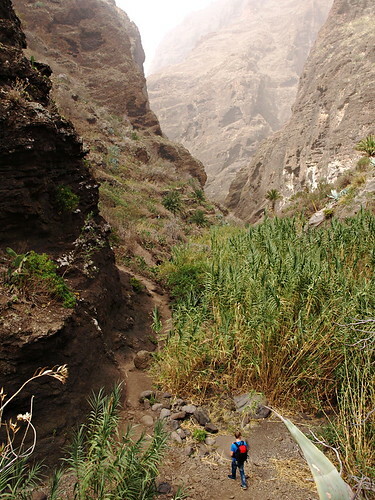 Walking on the islands isn’t dangerous for an experienced walker, but people do underestimate the terrain which is why there are a lot of injuries in the Masca Barranco. Basically, there are some people walking it who aren’t fit enough or agile enough for the demands of the route. Hikers being rescued are regularly reported in the local Spanish press.